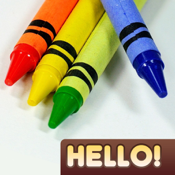 Hello crayon is an easy & fun drawing APP for children. It provides realistic crayons and marker pens. Check out our hello drawing series.